It is 1940 and Britain is at war with Germany. In London, eighteen-year-old Susan Banks longs to do her duty. 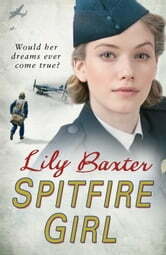 Her secret ambition is to learn to fly  to serve her country and realise her dream. But she knows it is out of the question for a girl like her; a foundling, unwanted and unloved and dependent on strangers for her welfare.